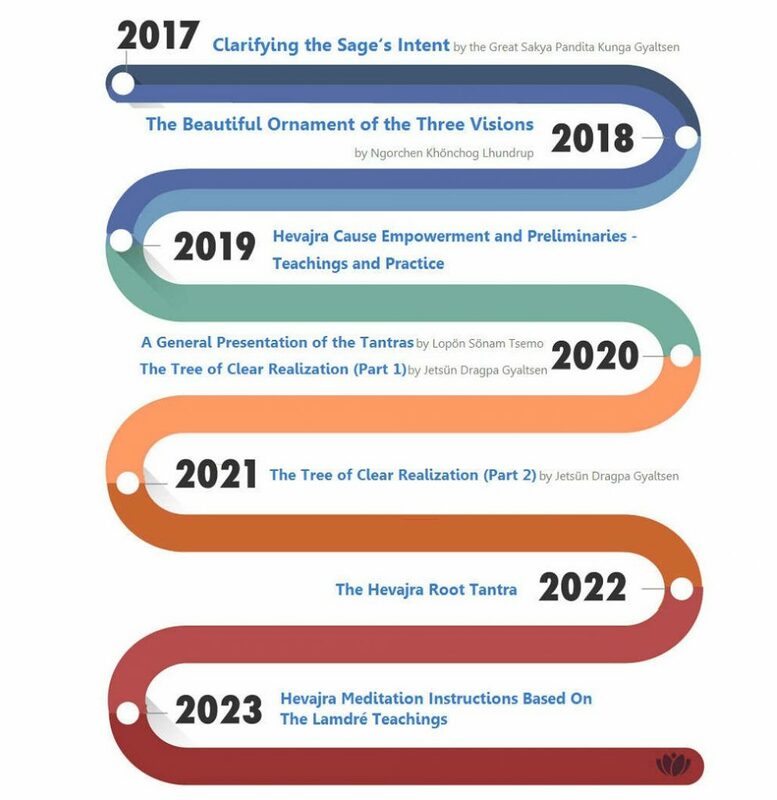 We are honoured to announce that from 2017 to 2023 IBA will host “The Complete Path” (TCP), a 7-year training course taught by His Holiness Ratna Vajra Rinpoche, the 42nd Sakya Trizin, for approximately one month per year, focused mainly on the Vajrayana path as it is taught in the Sakya tradition. This course is open to everyone in the first year. However, participation from the second year onward will require completion of the previous levels. 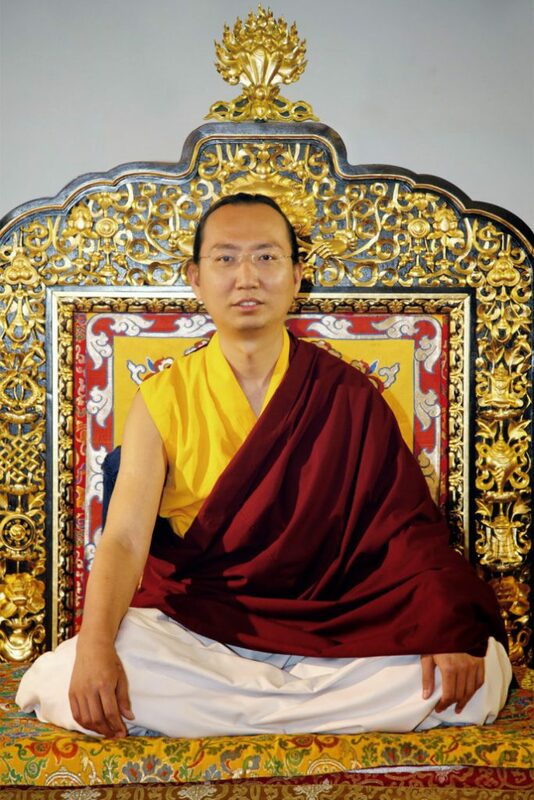 His Holiness has requested Khenpo Jamyang Lekshe, Director of Sakya Centre, India, to be the review teacher for his 7-year program. NOTE: The first three years of this program (2017-2019) will also be taught at partner centers in Europe, Australia, the US, and Taiwan by qualified teachers. Please note that in parallel with this course, IBA will continue to hold introductory courses, meditation retreats and classes in Buddhist philosophy as envisioned by our founder Khenchen Appey Rinpoche. There are no prerequisites for these courses – anyone is welcome to attend. For dates and content, please visit this page. While His Holiness has given dates for his 2017 teaching, exact dates for subsequent years still have to be confirmed. However, each year it will occur during the months of August, September and October.